eBay is putting Turbo Lister out of its misery in the UK this month, but it will leave it on life support in the US. An eBay moderator was forced to once again address sellers’ questions about the listing tool. 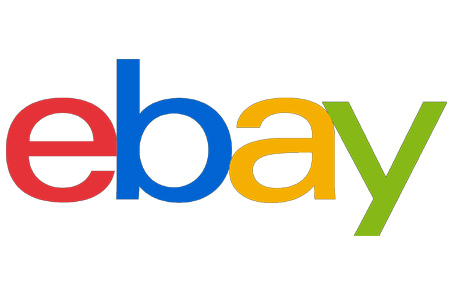 eBay sellers continue to raise questions about Turbo Lister, and eBay must continually advise sellers not to download the tool from links found on Google search results. He also confirmed that, as we had reported in mid-January, Turbo Lister will be fully retired on most of the EU eBay sites in February. “It will not be fully retired on the eBay.com (US) site just yet. You will be able to continue using Turbo Lister on the eBay.com site until a full retirement is announced,” he said. As we previously reported, eBay surveyed sellers in the fall asking them if they would be willing to pay between $4.99 – $9.99/month for the ability to continue using Turbo Lister. Note that sellers can opt to use tool called SixBit, available from the same third-party developer that developed Turbo Lister. While it’s not free, it also supports other marketplaces in addition to eBay – and unlike Turbo Lister, SixBit is fully supported and updated. Once again Ebay will not keep its word or commitment and force Sellers to use an Inferior product such as Sellers Hub because they are to cheap to hire competent programmers. They way overspend on the CEO’s salary as he is completely useless and his legacy will be the CEO that destroyed the Golden Egg that Ebay once was. I am betting that they are shutting it down in the UK to try and gauge just how bad the loss of revenue will be by eliminating it. They will then make their final decision on what they are going to do with the US, but will probably find out that the losses will be much greater as many older sellers who are also Power Sellers still use T/l, myself included. When they shut it down Ebay will lose my multiple stores and I will shift to only the free 50 listings per month, if that. I had stated I was willing to pay to use T/L but never did really think that Ebay had any intentions of trying to fix the program so that it could continue to interface with their piece of crap Sellers Hub that they forced down everybody’s throats so they could further control our businesses. Wenig can’t even run Ebay but seems to think he knows more about how to run our businesses than we do. Where has that gotten you Devin?? Now that Wenig is on the hot seat after already overstating Gross Revenues for the 4th quarter 2018 so they could show any growth by calling all the 10-15% discounts marketing expenses instead of adjusting the gross sales amount he starts making moves that are even stupider than the rest of his previous moves. I can’t wait to read about how poorly Ebay does once they force what remains of their Sellers onto Managed Payments so they can try and squeeze another few pennies out of them rather than actually hiring somebody who can maybe grow the company.